Oroville, CA -- Hearthstone School’s VEX IQ Middle School Robotics Team were first place winners at the VEX IQ Butte County League Finals. Additionally, they received awards in the following categories: Teamwork Champion, Robot Skills Champion, Middle School Excellence, and the Build Award. 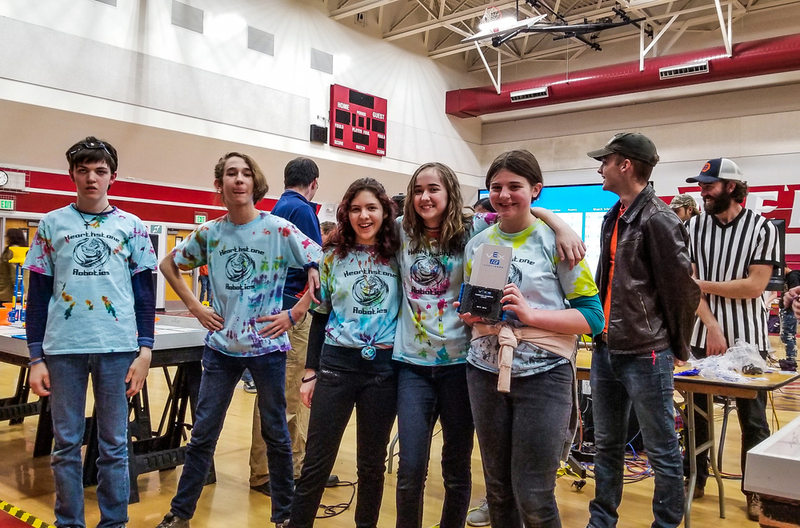 We are very proud of our students and would like to honor Joseph Carlson (8th), Fay Febbo (7th), Zoey Horton (8th), Forrest Lasell (8th), and Jessica Preston (8th), for demonstrating the dedication, skills, and motivation it takes to create a winning team in the STEM robotics field. Next up is State Championships on March 9, 2019 in Rocklin, CA.